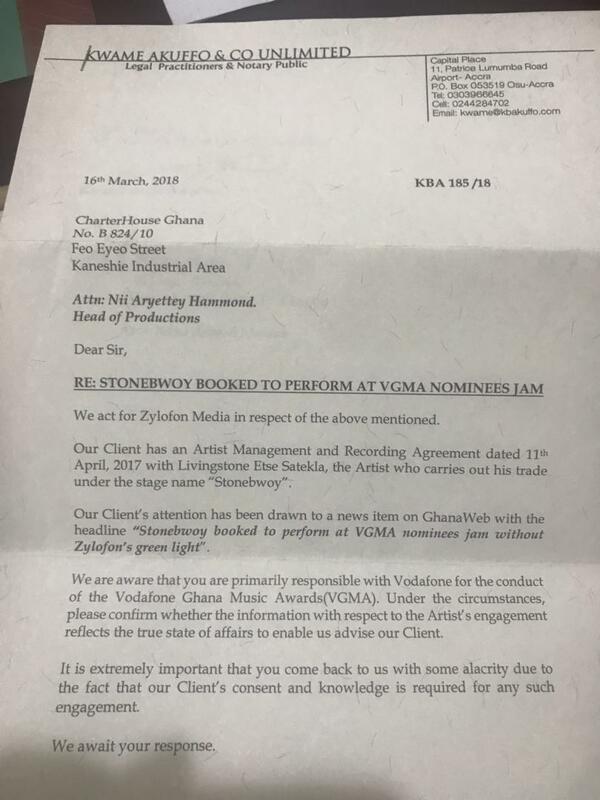 Zylolon Media has questioned CharterHouse, organizers of the Ghana Music Awards nominees jam over its engagement with Dancehall artiste, Stonebwoy. 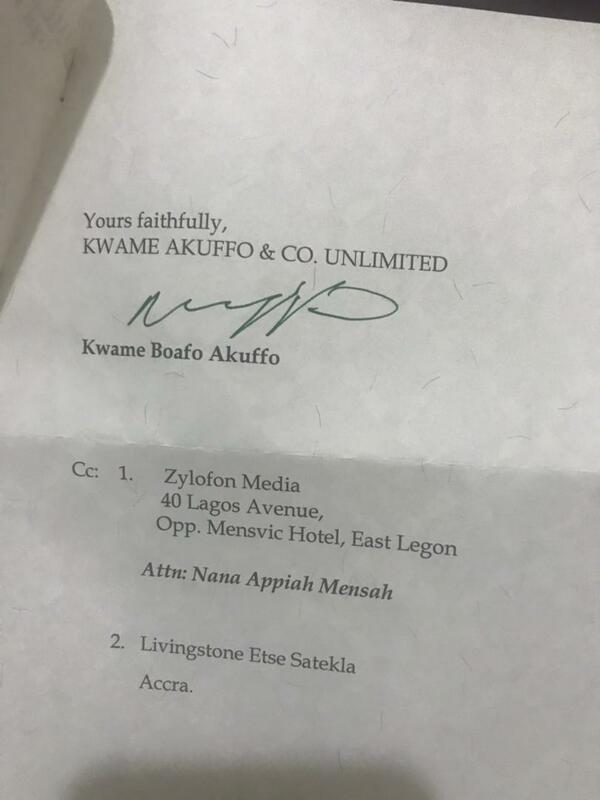 A letter dated March 16, 2018 was sent to the company asking it to confirm if there is a deal, and also clarify how it booked the artiste for the jams. The ‘Mama’ act is one of the acts booked to perform at the event which will be held at Jubilee Park, Cape Coast on March 23, 2018. Read contents of the letter below. The ‘Mama‘ artiste joined the imprint in June 2017. He left the label early this year for what people close to him say was as a result of entrenched differences, broken promises and also non-alignment of goals. He agreed to join the label because he was promised he would be its only Dancehall/Reggae artiste. 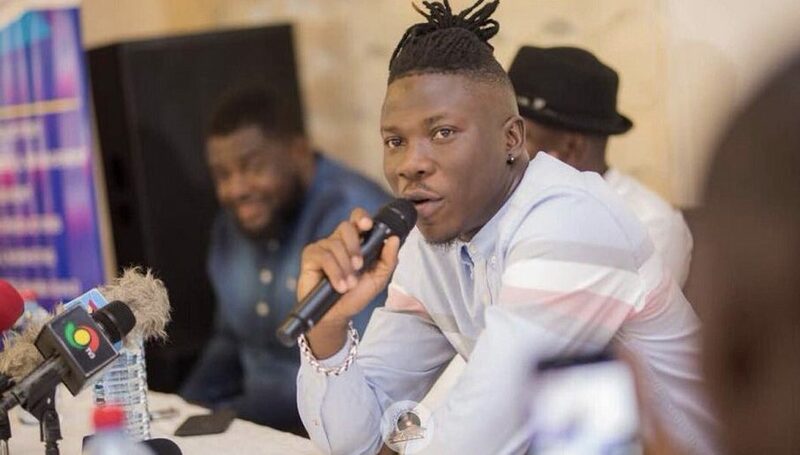 The company’s official position is that Stonebwoy still still signed to the label. A statement released on Tuesday, March 13 and signed by Baah listed him as one of their artistes. It threatened to seek a “swift and strict enforcement in a court of law” if there is a “deliberate infringement on the right” of the company.